The Hurricane Junior Golf Tour recently hosted Dr. Bob’s “Mistake Free Golf” Jr. Classic tournament producing fine results by young talents throughout the region. 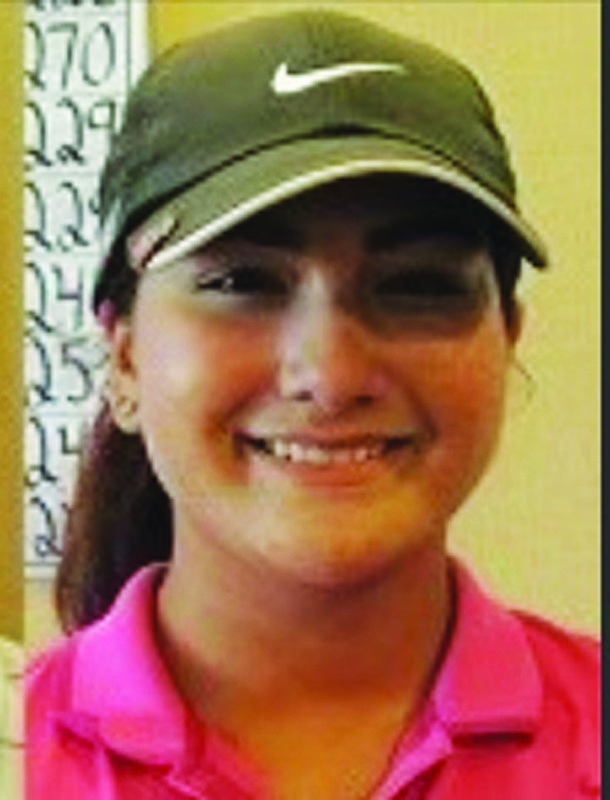 Held at Falcon’s Fire in Kissimmee, the tourney saw Ruskin resident Latanna Stone place first in the girl’s 15-18 division. According to Hurricane Junior Golf Tour spokesperson Brittnee L. Jones, Stone was tied for second going after two rounds, which she capped off with a phenomenal third round score of 68. “This round proved to be the difference maker at Falcons Fire,” Jones said adding that in the final round alone Stone posted five birdies, four of which coming on the front nine. For more information, visit www.hjgt.org. In less than a month, and in celebration of Olympic Day, nearly 1,800 gymnasts and their families will be traveling from across the country to Tampa for the 2014 YMCA National Gymnastics Championships. Tampa Metropolitan Area YMCA and Sarasota YMCA will co-host the five-day event, scheduled from Tuesday, July 1, through Saturday, July 5, which will see more than 100 teams from 23 states and an estimated 5,800 visitors resulting in an economic impact of $4.5 million in the community. The three-day competition will take place at the Tampa Convention Center Thursday – Saturday, July 3 – July 5. “The Tampa Y is proud to support the Olympic movement and encourage children to lead healthy, active lives,” YMCA Communications Director Lalita Llerena said. The event is designed to engage youth and promote the ideals of the Olympic movement, feature athlete appearances, family-friendly activities and interactive learning experiences. Around the world, more than 160 countries take part in the annual celebration. For more information, visit www.ymca gymnation als.org. For sponsorship opportunities, e-mail mercy.powell@tampa ymca.org. 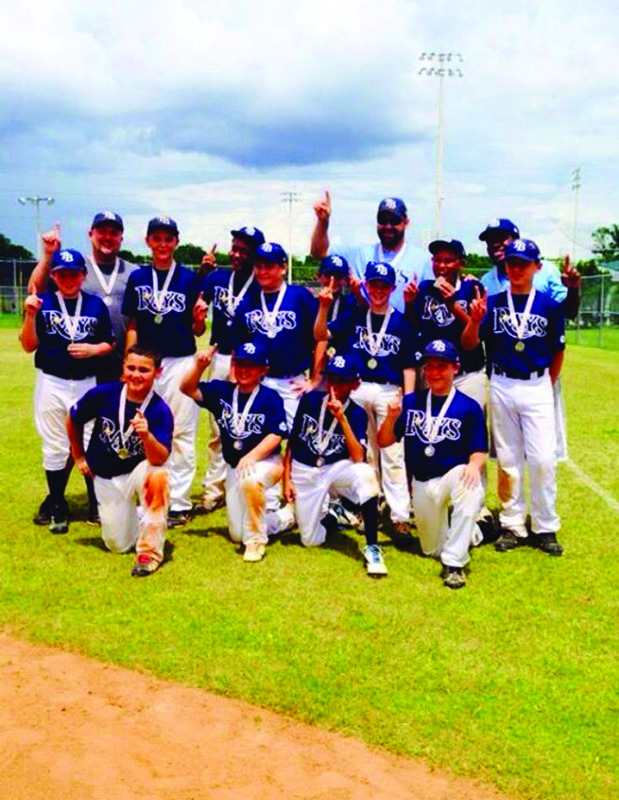 District 13 Little League baseball parks hosted its annual Tournament of Champions (TOC) earlier this month sporting its South Brandon LL Minor Division Padres and Major Division Rays as tourney champs. The five local little leagues involved in the competition included Progress Village, Pinecrest, East Point, Belmont Heights and South Brandon Little League. 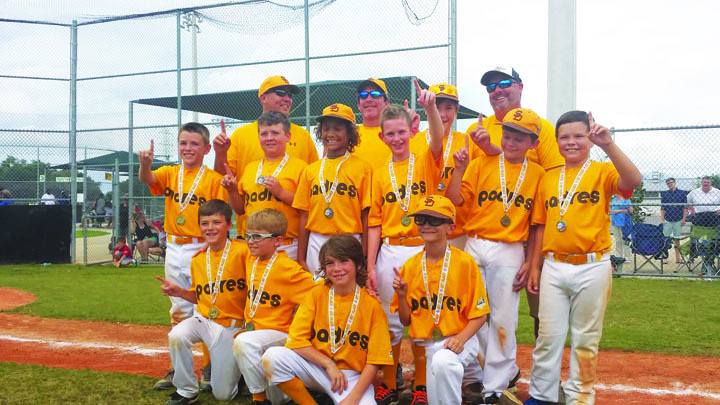 The Padres, coached by Frank Burke, Jed Segrest and Lance McDaniels, played its championship game against Belmont Heights, winning 11 to 10. The Rays, coached by Joe Gerena, Steve Lee and Cecil Woodside also played against Belmont Heights, winning the division-game 12 to 1. For more information, visit hwww.eteamz.com/sbll-fl.